Ecuadorian photographer Eduardo Naranjo is currently with Caritas and CRS staff responding to the earthquake in Ecuador. 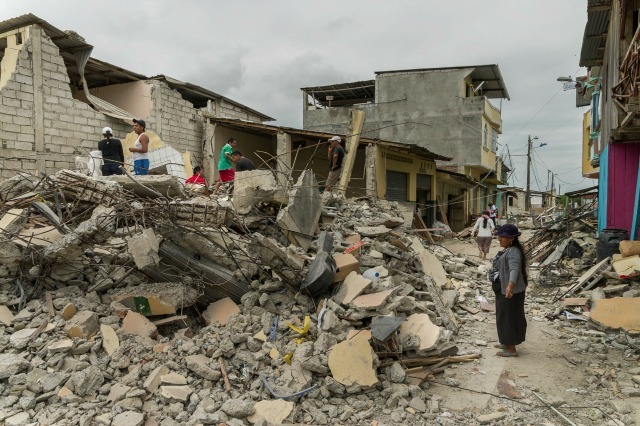 A woman surveys damage in the town of Portoviejo, Ecuador days after a 7.8 magnitude earthquake turned buildings to rubble on Saturday, April 16. The death toll stands at 570 and is expected to keep climbing. More than 7,000 were injured. The streets are lined with mattresses and makeshift shelters. An estimated 23,500 were left homeless. 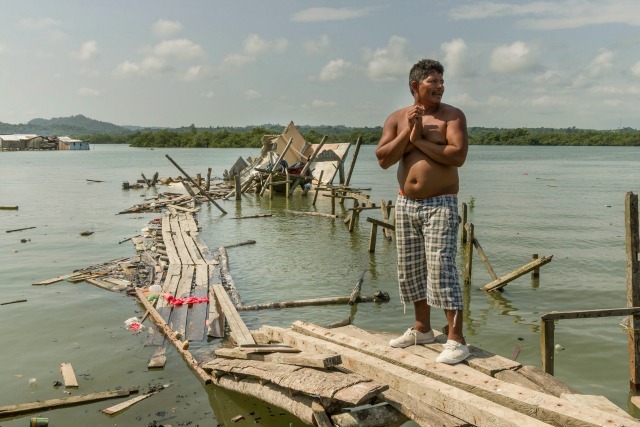 A full 85% of the buildings in Canoa were destroyed. Aftershocks continue to strike fear. More than 550 have rocked Ecuador in the aftermath of the quake, one as strong as 6.1. The Church has been helping to receive and channel donations. 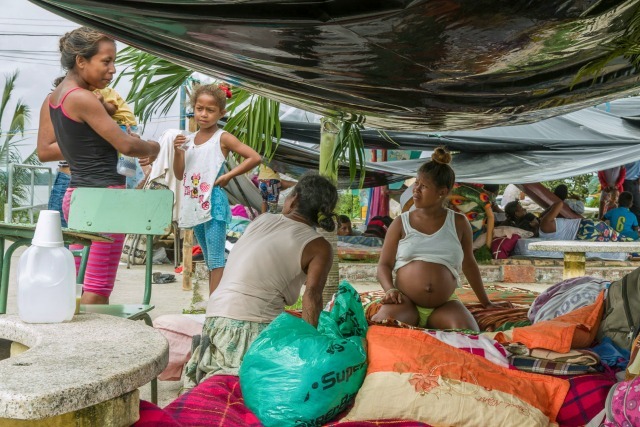 The most urgent needs are for: safe drinking water, hygiene items, sheets, tents and diapers. The outpouring of support has been tremendous. All the staff of Caritas Santo Domingo decided to donate 30% of their pay for the month of April as a show of solidarity for those affected by the earthquake. 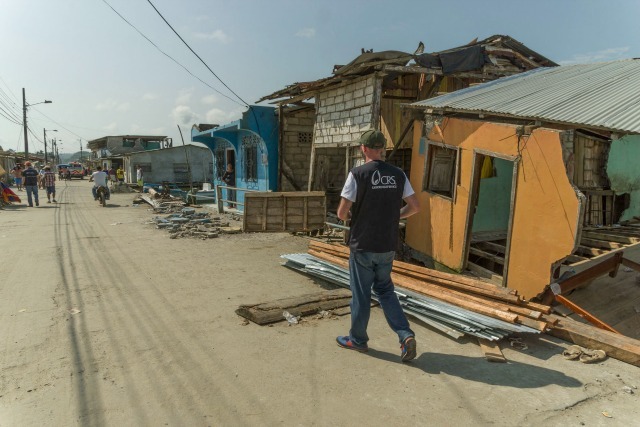 Caritas Ecuador and Catholic Relief Services (CRS) have sent teams to assess the damage. “The needs are huge,” says CRS South America director Thomas Hollywood. “The response will be long term because this story is far from over.” Ecuadorean president Rafael Correa estimates it will cost at least $3 billion to rebuild the battered nation. All photos: Eduardo Naranjo for Catholic Relief Services.